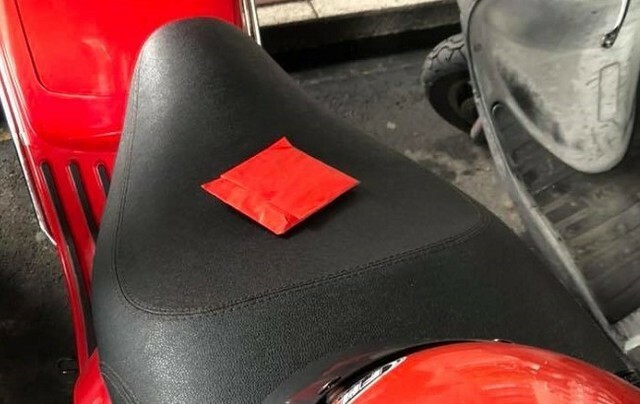 TAIPEI (Taiwan News) -- A Taipei man panicked when he discovered a red envelope on the seat of his scooter because during Taiwan's Ghost Month (鬼月) picking it up could entrap him into a "ghost marriage" (冥婚, spirit marriage). 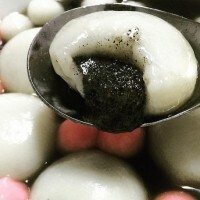 Taiwan's Ghost Month, observed in the 7th month of the lunar calendar, which this year runs from Aug. 11 to Sept. 9, is when Taoists and Buddhists believe that the gates of hell are opened for "hungry ghosts" to roam the world of the living in search of food, money, entertainment, and possibly souls. 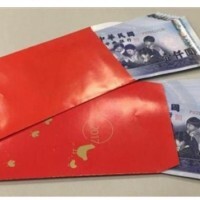 During this month, some Taiwanese families traditionally seek a husband for a deceased daughter who never married by leaving red envelopes (紅包) with money inside on the street, with the first man spotted picking up the money being obligated to take her as his "ghost bride." It is considered extremely bad luck for the man to refuse the marriage, as she may haunt him in his dreams and otherwise cause misfortune if he does not agree. The man may marry a living woman, but he must honor the ghost bride as his primary wife. 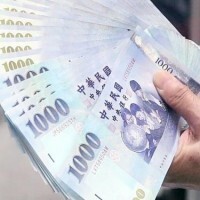 Though this tradition has become rare in modern Taiwan, the superstition of not picking up any form of money lying around in public is still very strong in the country. 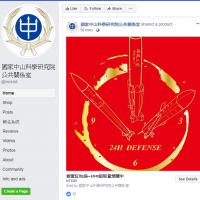 "No matter what the meaning of placing a red envelope like this is, it is very immoral matter. Has anyone ever run into this situation before?" How do you normally handle it?" Many Taiwanese netizens who saw the post wrote comments such as "brother-in-law don't touch it!" and "If you touch it, it will stick to your breath, and if it is a ghost marriage, you will be easily tracked down!" Another netizen wrote, "Don't touch it with your hands. Tilt the scooter sideways and let it fall to the ground, and just drive away. If you're afraid that it is that type of tradition [trap], when you return, park your scooter far away and walk on the way back." A more superstitions netizen alarmingly wrote, "If the wind blows it to the ground! You will have bad luck 100 times worse than a ghost marriage!" A netizen who described himself as an "old driver" advised him to "take it to a temple, make a prayer and then put it in the donation box. That's what I always did before." A similar comment read, "Ran into this twice, both times donated the money, I was fine, no problems. It is probably a red envelope someone had hoped would turn bad luck into good luck." One person warned that it could be some sort of scam, "Call the police! Otherwise, they'll later say there's some kind of gold or jewelry inside! It made me think of a previous scam in which people placed vases on vehicles." After receiving all the advice, netizens where then very curious to hear what he finally decided to do. 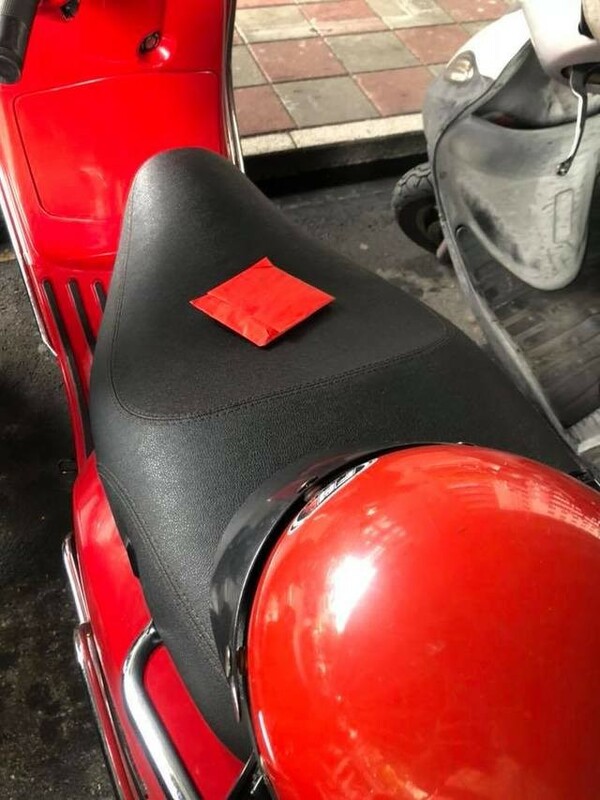 The driver said that he placed the red envelope on the ground, went to a temple to make a prayer and hoped for peace.